Now that the cast of First Wives Club: The Musical has been announced, we’re going to take a look at some of the cast of the hit original film. We’ll start with Annie! Every actor or actress dreams of having that one iconic role that will save them from being a trivia question and make them immortal. They all want a role to be remembered by. It’s very rare- Hollywood is full of people who never quite made it, who flamed out, or who had solid careers, but nothing that history would record. Then there is Diane Keaton. To say that she has an iconic role under her belt is to undersell her by at least two. 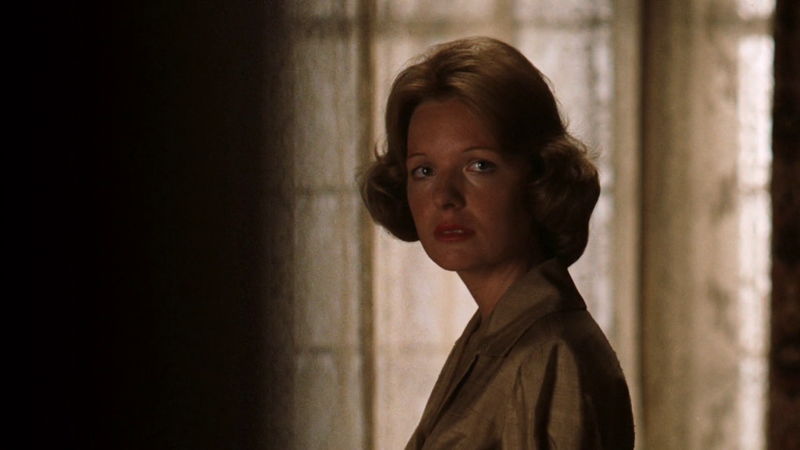 She played that naive, optimistic, perhaps willfully-blind Kay Adams in The Godfather, a role that could have been thankless, but one in which she found pathos and depth in the only underwritten character in the movie. She also managed to stand toe-to-toe with the remarkable cast, despite being one of only two female characters. She grew even more in The Godfather II, as the scales had fallen away from Kay’s eyes and she strove to protect herself and her family from the increasingly monstrous Michael Corleone. Her performance in the gut-wrenching “it was an abortion” scene is maybe the finest acting in either of the films, which are maybe the finest-acted movies in American history. Anyone who saw the rage and fierceness of a woman who watched her life fall apart in a spasm of violence and lies would be stunned to see her as the light-hearted muse of Woody Allen during arguably his most creative period. In movies like Sleeper, Play it Again Sam, and Love and Death, she played his romantic interest (sometimes successful, sometimes not). But the iconic role came in their fourth collaboration, where she played the title character in Annie Hall, the greatest romantic comedy not directed by Billy Wilder. Annie- ditzy but fiercely intelligent, romantic yet clear-eyed, in love yet willing to part- is one of the most unique and well-realized characters to ever cross the screen. Her infectious joy in the lobster scene makes you fall in love with her, and she makes you feel every second of a good relationship gone sour: the longing, the sadness, the attempts to make it right. It’s a role that a lesser actress would have botched, and her Oscar was richly-deserved. If she had never been in another movie she’d never be forgotten. Thankfully, she never even slowed down. The next several years saw huge roles in Allen’s Manhattan and Warren Beatty’s Reds (for which she received another Oscar nomination). The 1980s were a transition period, as she moved gracefully into (for movies) middle age. She never shed her intelligence and popularity, and found new fans and wowed old ones with her roles in the Father of the Bride series with Steve Martin. 1996, though, would take things to a new level. A lot of good performances reflect both on other roles and on audience expectations. 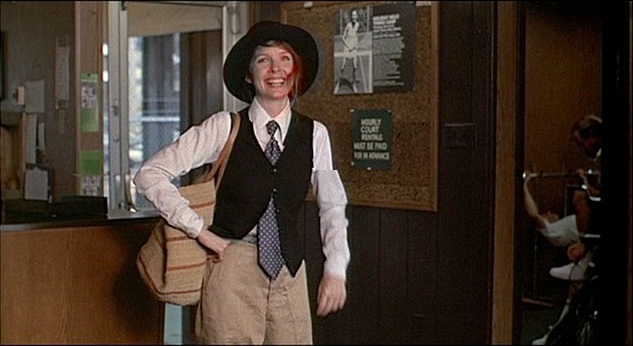 Annie Hall was the embodiment of that mid-70s woman, a little past the revolutions of the last decade (and not really a part of them), still looking for meaning and love, and shifting with the times. It would be easy to see her becoming a character like Annie Paradis, growing into a new life, and trying to find herself, only to be betrayed. Keaton took that betrayal and gave it meaning. She was acted upon, but she was not passive. She took control of her life and was the solid backbone in a group of outlandish friends. She found that her strength was only limited by self-forged shackles, and she threw those off. To be able to be heartbroken, searching, and strong all at the same time, to give total life to a character, almost no one can pull that off. Diane Keaton can, and did, and created yet another iconic performance for a new generation. She hasn’t stopped yet, and shows no signs of slowing down. In 2003, she received her 4th Academy Award nomination for Something’s Gotta Give, a romantic comedy with Jack Nicholson, in which she brought her hard-won wisdom and endless charm and humor to a brilliant role that could have been Hepburn in a different time. More recently, she played against type in Morning Glory and is voicing Dory’s mother in the Finding Nemo sequel. Annie Hall. Kay Corleone. Annie Paradis. There are few actresses alive who wouldn’t trade their entire filmography for just one of these parts. Keaton made them all hers- alive, realized, characters who you could imagine reading books and visiting friends and having dark thoughts and complete lives even when they weren’t in a scene. She can break your heart and split your sides with her vulnerability and her impeccable, unbeatable comic timing. For decades, no matter the role, Diane Keaton has been a vision of independent womanhood, and a true screen legend.